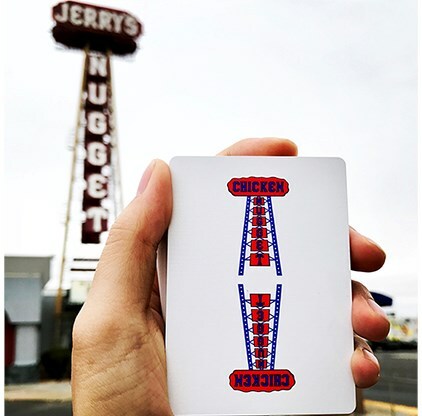 Jerry's Nugget playing cards can go for hundreds of dollars a box. These aren't those. 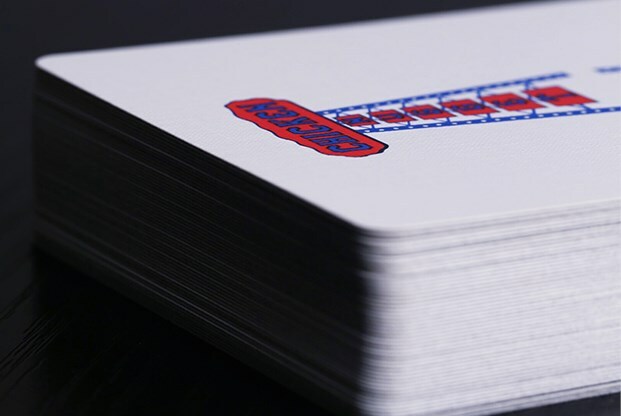 These are playing cards of a different...flavor. 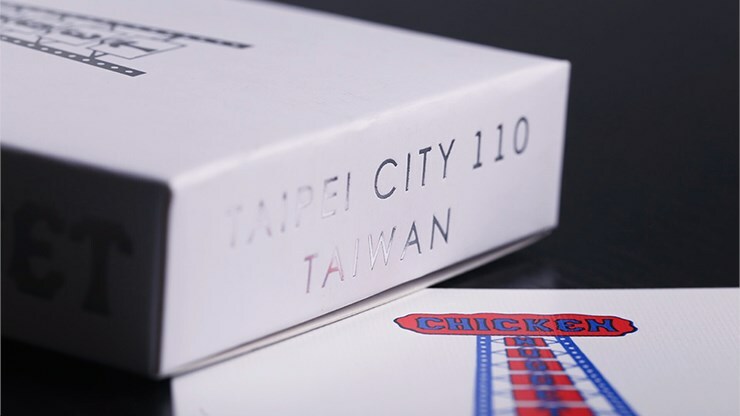 In a comedic take on Jerry's Nuggets, Hanson Chien brings you Chicken Nugget Playing Cards. 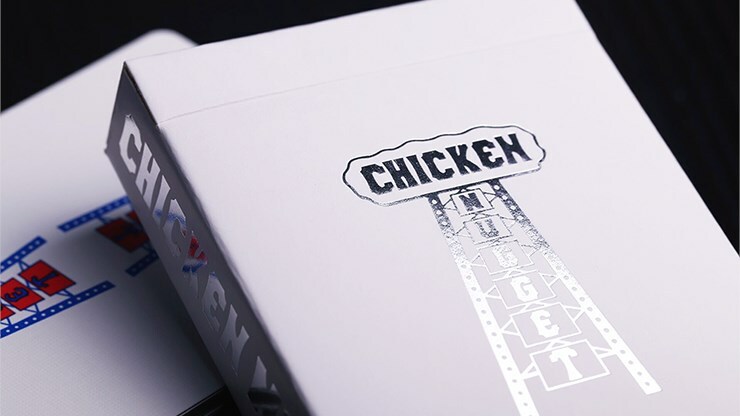 These imitations are close to the original, just with a little more junk-food flair. 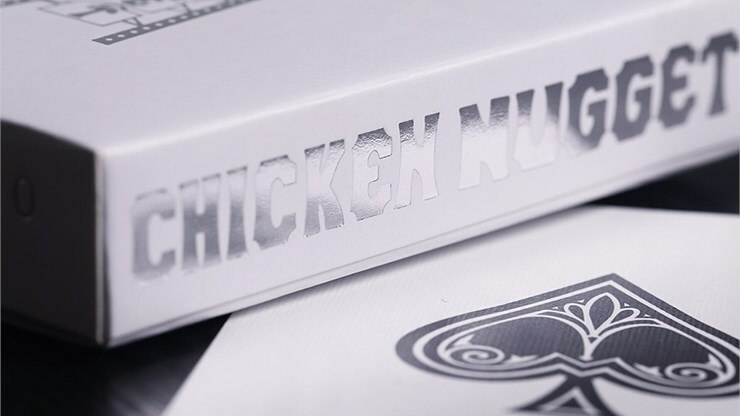 The tuck case has a silver-foil tower, and the colors, Ace of Spades, tax stamp and Joker are close to the same as the Jerry's Nuggets, but the court cards...well, they've fallen off their diet and are eating everything from doughnuts to popcorn! But that junk food still makes them silky smooth and a pleasure to handle. 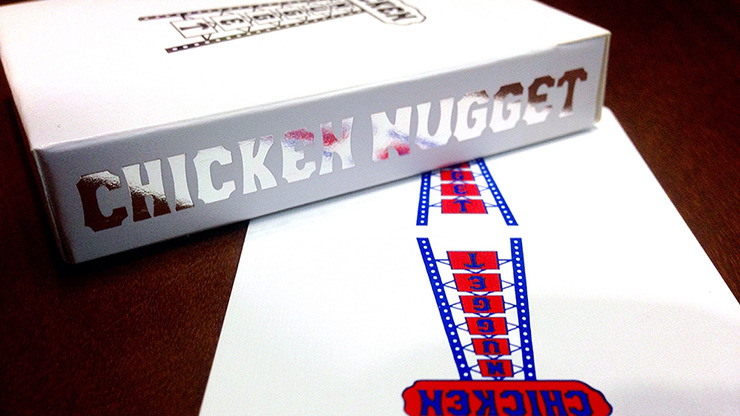 Add these to your cart and you too can partake of the delicious homage to Jerry's Nuggets. Buy today!